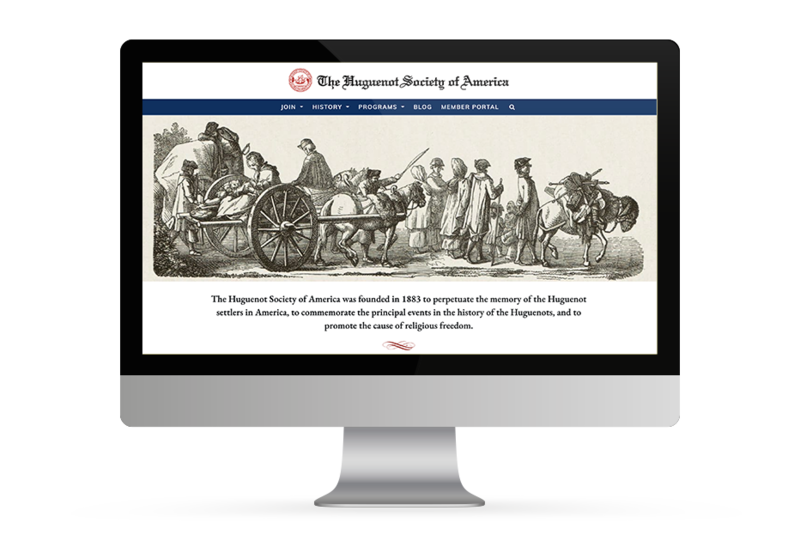 The Huguenot Society of America is an organization dedicated to commemorating Huguenot history through its archives, events, library, scholarships, and grants. Their website needed a redesign to serve as a calling card to the world that they’re an active organization. 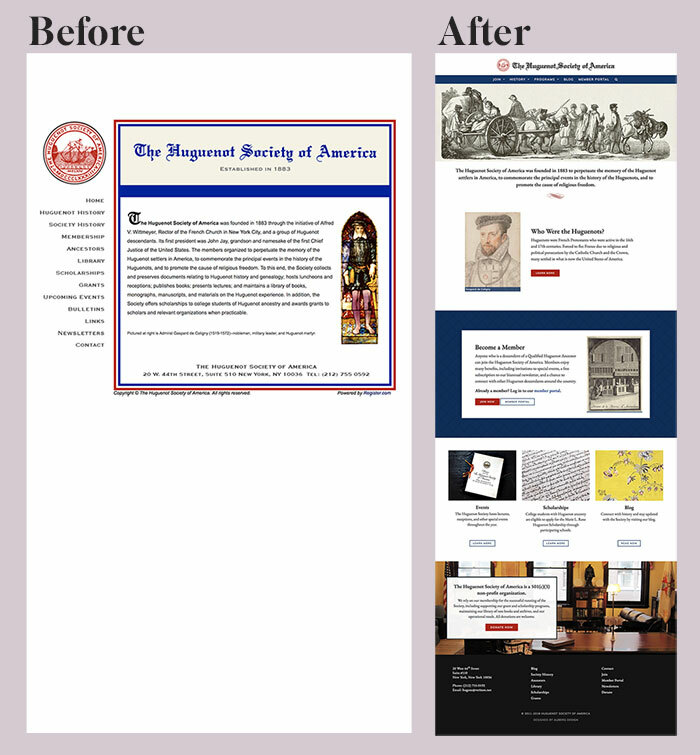 To present Huguenot history and society information in a cohesive, organized manner. Encourage new membership and engage current members. To make it easy to update the content without a need for coding knowledge. To cater to the older demographic of a historical society. 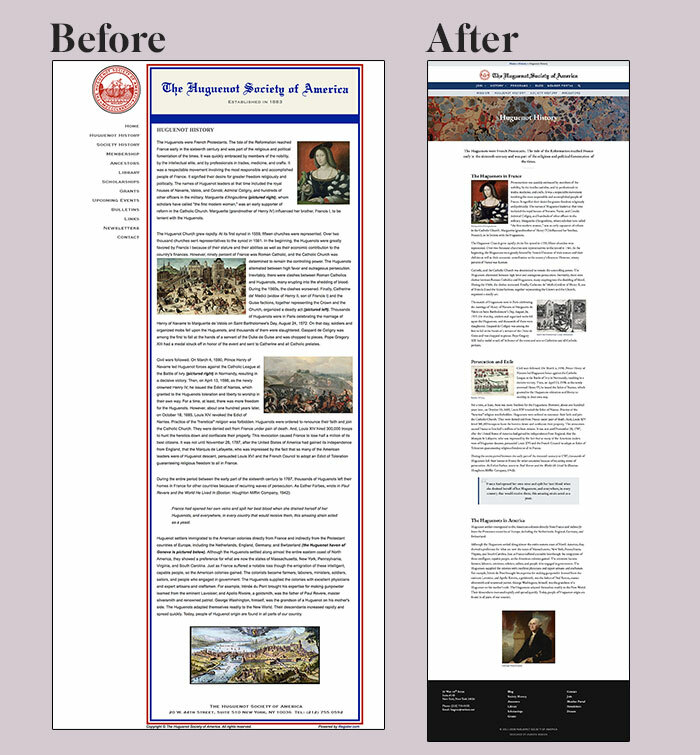 A comprehensive redesign of the website’s visual identity. The new design is refreshed, consistent, and updated. This presents the Society as a relevant, active resource for Huguenot history and preservation. Reworking the previous layout to better present information. We also reorganized the navigation to help the audience find content. Improving the functionality of the site. We replaced the platform of nearly two decades with WordPress, making content easier to update. Accepting donations and membership fees and allowing for online signups. 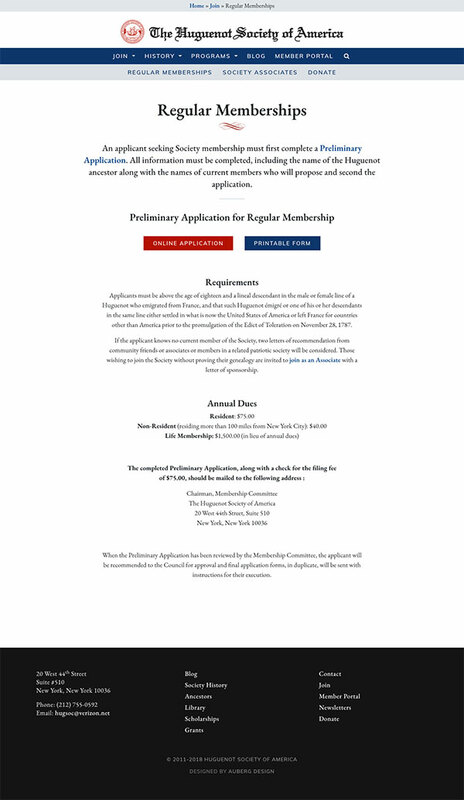 Creating a members-only portal. Members outside of the New York area can feel connected to the society despite not being able to attend events. Designing the site with accessibility in mind. The membership demographic is 60+, so the design emphasized the needs of senior citizens who may have declining vision, physical, or cognitive abilities.